We were thinking ourselves that we had enough getaways into the nature and no matter how beautiful they were we needed a change. 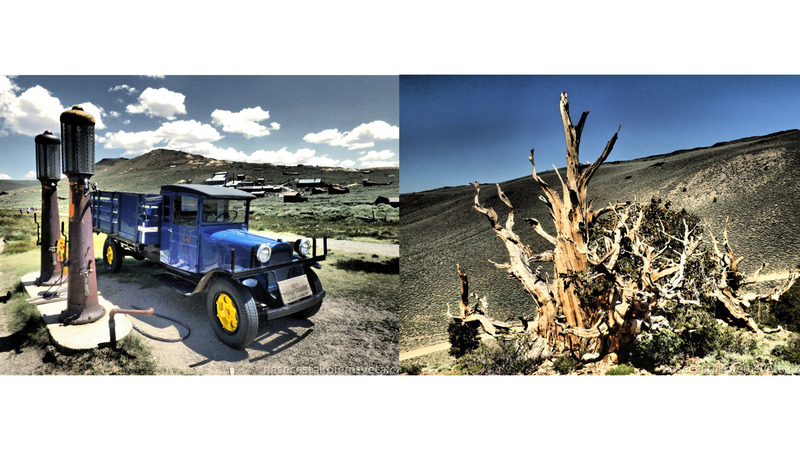 Therefore we went from Mono Lake, Bodie, Ancient Bristlecone Pine Forest & Alabama Hills directly towards Death Valley, Red Rock Canyon & Hoover Dam. And it was a good choice! We again experienced our best and the most during travelling the world. And as usual we have so many tips and tricks to share. 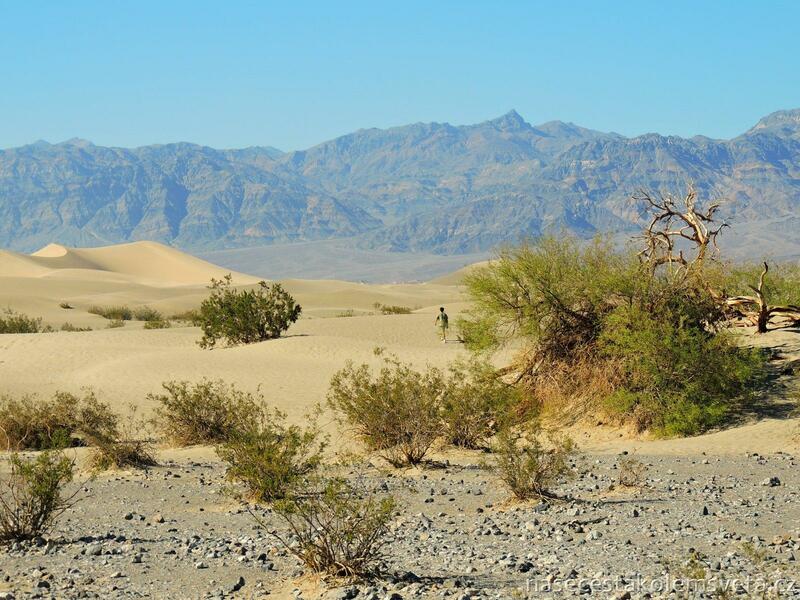 Death Valley is the driest, hottest and lowest place in the USA and also in the North America. We couldnot miss it! 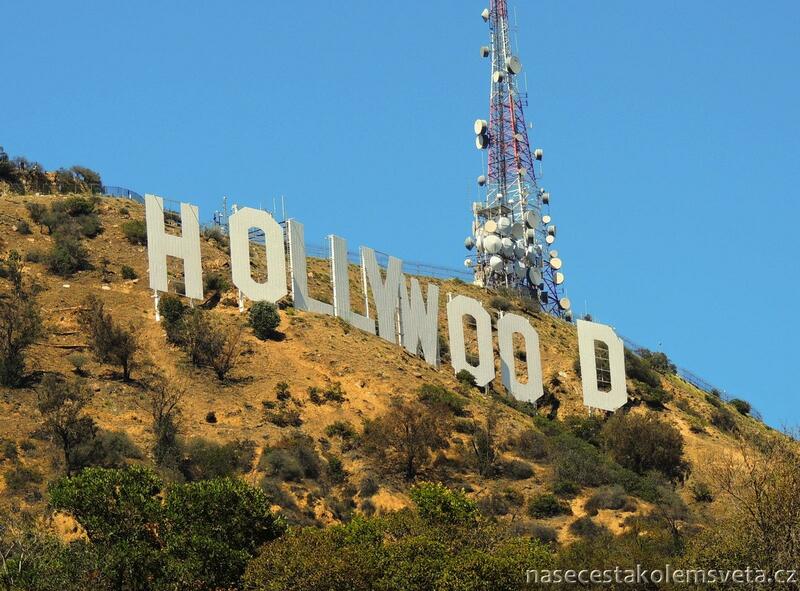 Entrance fee costs 20 USD/7 days/car – with National Park Pass it is free of charge. Even though it may seem to be a hostile place at first sight, it is a home for many species. 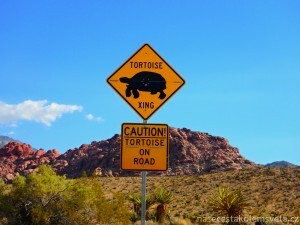 One of them are rattlesnakes, other lizards, spiders and also desert turtles or mice. We were lucky not to encounter any of them. 😉 We set out to the place called Badwater Basin that is noted as the lowest point in North America, it is 86 meters (279 feet) below the sea level. It is a former salt pan. We have to admit that it felt really hot outside but we had not reach the temperature record there, but we did at Zabriskie Point. The road to this lookoutpoint was beautiful and various. We had a feeling that the moon landscape replaces the Mars one and in the meantime we encountered very unique rocks of black color and other interesting structures. Zabriskie Point is amazing spot. There are beautiful badlands formations of rocks. The view was just spectacular! But our stay there was not so pleasant because of the heat. Our blood was simply boiling and when we got back to the car, computer showed us temperature above 50°C and it was not midday but late afternoon! Enough we though, jumped to the car, turned on the air-con and then enjoyed the views of Death Valley only behind the car windows. From here we rode to Red Rock Canyon. That day we did not make to Red Rock Canyon so we had to sleep in the car. Locals advised us to find some lone place out of the main road and there we have no problem. It was no problem until desert mice started biting car cables in the middle of the night. We had to move twice. 🙂 But nothing happened, car was working so we drove towards Red Rock. We decided to have our breakfast at one of the view points along the main road. Then we entered a park to enjoy their loop. We did not pay anything to get it because of the National Park Pass, without it they charge symbolic 7 USD/a car. It is very small but nice canyon. It is possible to take a walk on one of many trailheads. But we were not so amazed by this canyon, probably because we had visited larger ones before. Nevertheless it is a super trip from Las Vegas because it is pretty close. Same applies for Hoover Dam which we did not want to miss. So if you are in Vegas and need to rest, this is a perfect spot to go to. 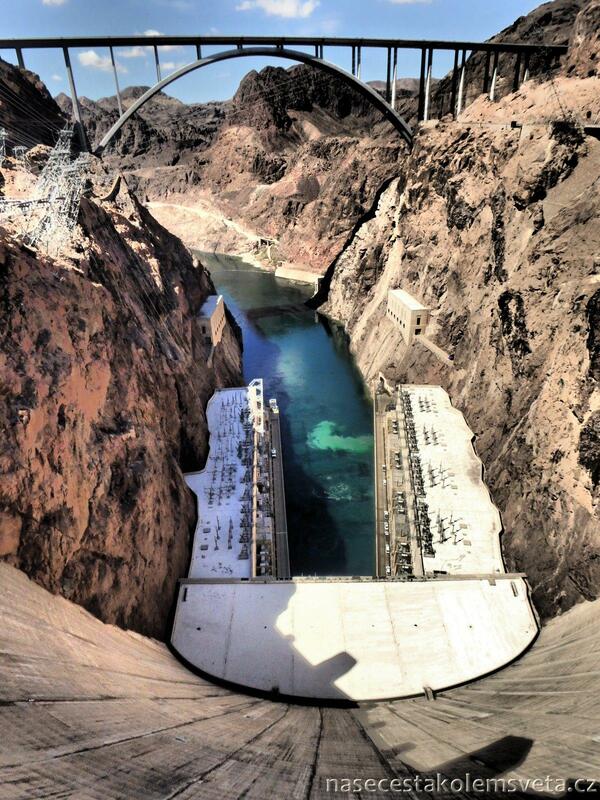 Hoover Dam is situated between Arizona and Nevada on the Colorado River. It is probably the most famous dam in the world. It also appeared in many movies. 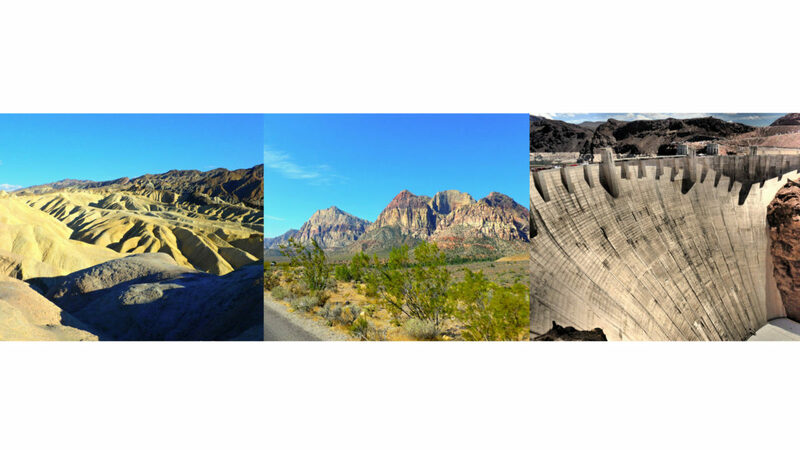 Among the biggest interesting things belong the fack that it is the tallest concrete dam in the United States and in the western hemisphere. Simultaneously it is one of the 7 wonders in the modern world. Remarkable 2 gigawatts of capacity in one moment is this power plant able to make. This power station was able to cover all building and operational costs by its own power generation and not only once but many times. Another curiosity of this place is its working cable railway that can carry the most tons in the world. It is hard to believe that this beautiful construction weights the same like 18 Empire State Buildings. The visit of this power plant is something no one should miss. For only 15 USD/person you can get inside the power house, hear and feel thousands liters of water floating below your feet. You get even to the room with generators but also to a small museum where you can read many interesting information about constructing this site or operating of the power plant. Hoover Dam impounds Lake Mead – the largest reservoir in the USA. Lake Mead is a nice place and it is possible to camp here or enjoy water sports. We decided to stay overnight. It cost us 10 USD but since 2016 they intend to charge 20 USD. It is very close to the dam and lake for swimming. Road trip in the US Southwest was really demanding but totally worth it. We visited so many places we have never dreamt about because we had not known about them before some was so nice to recommend them. We do not regred any moment we spent while travelling the USA in the car because it was a joy ride! We returned our car in Vegas and headed tovards Los Angeles where we continued in our adventure during our trip around the world.